Prime Blues features 14 new tracks performed by an all-star group of musicians including: bassist Glenn Worf, rhythm guitarists Rob McNelley, Bob Britt and Kenny Greenberg, keyboardist Kevin McKendree, drummer Tom Hambridge, vocalist Mycle Wastman, The Memphis Horns and special guest vocalists Grammy-winner Bobby Rush, and Blues Award winner Mike Zito. Roots Music Report. The LP registered nearly 1 million plays on Spotify. 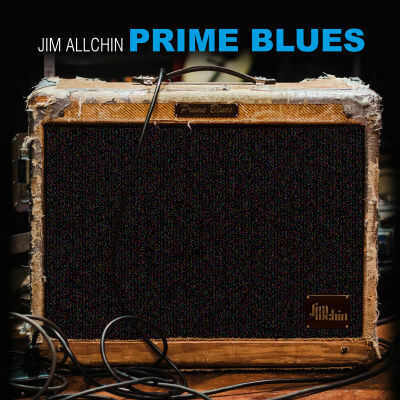 Allchin added: “The title Prime Blues refers to both my love of the blues as well as my love of mathematics. This old proverb ‘strike while the iron is hot’ quickly comes to mind when reviewing the new album “Prime Blues” from pacific Northwest guitar man, Jim Allchin. For it clearly alludes to the imagery of the blacksmith at his forge; if he delays shaping the iron when it is hot and pliable the metal soon cools and hardens, and the opportunity is lost. Allchin astutely heeded this council while hard on the heels of his critically-acclaimed and chart-topping 2017 album “Decisions” and continued running with its winning formula. Mike Zito steps up to the mic for the Texarkana stomp ‘Enough Is Enough’ that features another gritty solo from Allchin and fiery honkytonk piano from McKendree. Bob Britt from the Delbert McClinton band sits in on the swinging autobiography ‘Found The Blues’ that has Allchin detailing how “music blew his muse” and most likely saved his life. The soul-searching track ‘Up To Destiny’ mixes thought-provoking lyrics with pop music sensibilities on an arrangement that has a bit of Santana-like appeal. The patented double shuffle from Hambridge creates an authentic motif for Allchin’s tongue-in-cheek dig at our obsession with cell phones on witty ‘Tech Blues.’ The final track ‘Logoff’ serves as a clever double entendre, with the bluesy groove serving notice to the end of bad love and the poetic finale of the grand adventure that is the album “Prime Blues.” Once again, we are blessed to have Jim Allchin share with us his quest for universal truths and superb guitar tone on what could prove to be his crowning achievement.